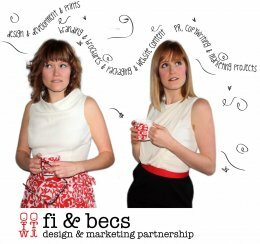 Fi & Becs are a partnership of two creative sisters who provide flexible branding, design and marketing services for start-up, small and medium sized businesses. We're approachable, quick and good at what we do. With an enthusiastic (perfectionist) attitude, we love helping businesses become distinctive, engaging and relevant to their customers.